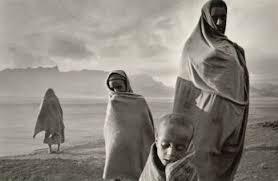 Darfur. According to a March 24 release from Save Darfur (join the Facebook group here), "increased violence in Darfur has killed hundreds of civilians and displaced more than 80,000 people" in the last three months. In total, over 200,000 have been slaughtered and one million displaced in this genocide. -India has more AIDS cases (3.7 million) than any other country except South Africa. The pandemic is out of control there. -90% of HIV/AIDS transmission happens through drugs in Russia. -The number of AIDS cases in Brazil decreased last year. The Unborn. I finished writing the below article on Saturday and it was published by Assist News the next day. (It has also already been published by Journal Chretien in France here.) In researching for it I was struck by the sheer numbers of abortions that are carried out in the U.S. ever year: about 800,000. But of course this is a small fraction of the number carried out worldwide; that number is in the millions. TORONTO, CANADA (ANS) -- Francis Schaeffer, the great 20th Century apologist, poured himself into the pro-life movement in the last years of his life - leading peaceful anti-abortion protest marches and using his voice to speak out for the unborn. George Verwer, founder of one of the largest evangelical missions organizations, Operation Mobilization, admits how he believed Schaeffer —- a personal friend -- was going overboard. “Isn't it more important to reach those who have been born than to worry about those who haven't been?” he thought. While Verwer always knew abortion was wrong, he didn't see how he fit into the equation himself -- especially in Europe -- his home-base at the time, where those opposed to abortion were viewed with particular suspicion. And so he erred on the side of inaction. Verwer has since changed his tune. He now believes that inaction is not an option. And he says that when he considers the staggering statistics of abortion worldwide, he understands why Schaeffer was so involved in the pro-life struggle. Verwer believes that all Christians need to be graciously but urgently involved in the fight for the unborn. Specifically, he has promised to give anyone who writes in for it a free copy of Randy Alcorn's book “Why Pro-Life? Caring for the Unborn and Their Mothers.” Verwer believes that this book is one of the best out there on the controversial topic. “Just write in to george@verwer.om.org with your mailing address and we'll send you a copy,” he says. Verwer points to the statistics. In the United States, according to Federal data, there were more than 800,000 abortions in 2003. In China and India, gender-specific abortion -- where babies are aborted if they are girls —- is rampant. In South Africa, home-made posters advertising underground abortions for the equivalent of $50 are a common sight in city centers. “It has been said that the mother's womb is one of the most dangerous places in the world today,” Verwer says. About the author: For 50 years George Verwer, Founder of Operation Mobilization (www.om.org), has had a traveling assistant to help him with the logistics involved with his 300 annual speaking engagements. In 2007, this role was filled by Canadian Nigel Barham, now 27. Son of missionaries in Zambia, Barham has been to over 30 countries and lived in five of them. He believes that because there is more response to the Gospel than ever before, we are living in some of the most exciting days in history. “God's Plan will happen with or without you and me,” he says, “and how much God uses us depends on how much we have surrendered ourselves to Him.” Nigel Barham currently lives in Toronto and is involved in several initiatives to reach this most diverse of cities for Christ. He supports himself through his online book business and can be found in the blogosphere at www.nigelbarham.com.